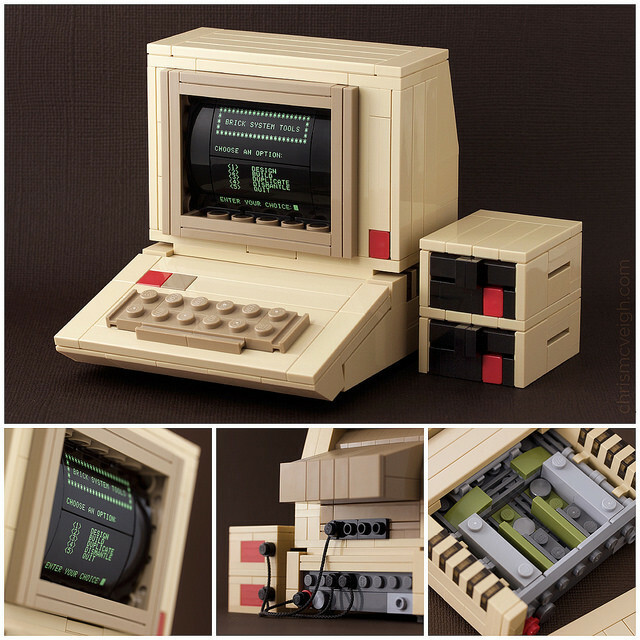 Canadian LEGO artist Chris McVeigh has added the Apple II to his growing portfolio of retro tech block creations. The re-creation of Apple’s first home computer features a the familiar monochrome screen, disk drives and even some cables in the rear. McVeigh has an online guide for building the model at home and a kit including custom pieces. In 2013 Chris created a LEGO version of the original Apple Macintosh computer.